Finishes | Metal Surfaces Inc.
MSI's standard Cadmium finish produces a white appearance with very good corrosion resistance especially with the type II chromate treatment. Typically processed to QQ-P-416F, the type II supplementary chromate treatments can produce iridescent, olive drab, clear and other finishes. Available in classes one and two, MSI's Cadmium finishes are extensively used for corrosion prevention. Plating of composite plastic for EMI shielding and grounding. MSI is a leading electroplater to the interconnect industry, providing plated continuous strip and progressive stamped-bandoleer contacts, barrel plated screw machine contacts, and both metallic and composite connector shells. With 12 multi-finish, continuous plating lines and barrel and rack capabilities operating 24/5, and quality certifications to ISO 9001, AS9100, Nadcap-CP, ISO/TS 16949, and FAA Repair Station approvals, MSI provides state-of-the-art electroplating for today’s demanding technology markets. Interconnect applications in harsh commercial environments, such as communications towers and exposed outdoor uses, have promoted the use of composite structural plastics for connector shells and fittings. In addition, communications, manufacturing process control, aerospace and medical equipment requiring low or non-metallic signatures have also promoted such uses. 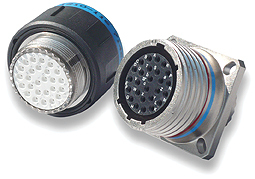 The requirement for EMI shielding and grounding in such applications has established the need for high quality, uniform conductive coatings that completely cover the sometimes intricate surfaces of connector receptacles and plugs. These coating have to interface with spring rings and washers for continuity. Composite connector construction has benefited from enhanced corrosion protection with the application of these coatings providing endurance from salt spray exposure frequently exceeding 2000 hours. MSI’s Electroless Nickel and Electroless Gold finishes provide uniform, seamless, conductive surfaces on composite products manufactured from Ultem poyletherimide (PEI) and many other glass/carbon fiber filled plastics. Chemical or abrasive processing techniques provide excellent surface preparation followed by the coating/plating process. MSI's Copper plating is typically processed to conform with MIL-C-14550B and is available in I-IV classes of finish. This durable corrosion resistant process is available in a variety of different finishes, including Bright Acid for a buffing free, bright reflective finish and Cyanide for a dull matte finish. When used as an undercoat, it provides good conductivity properties and an excellent corrosion resistant base for Nickel and other coatings. MSI's Copper plating is frequently used as a mask in surface hardening procedures and provides good lubrication in metal forming operations. MSI's Nickel plating usually supplied to QQ-N-290A is available in classes 1-2 and grades A-G. This universal coating can be deposited soft or hard, dull or bright and produces visual differences varying from almost white colorations to a heavy metallic, stainless steel like appearances. Corrosion resistance is proportional to thickness and surfaces are magnetic. MSI's Palladium Nickel plating provides a technologically advanced coating that is superior to hard gold, providing greater wear resistance, ductility and thermal stability. It is only offered in reel-to-reel plating. When used for electrical contact surfaces. Palladium-Nickel coatings frequently use a thin gold overplate to further enhance the surface wear resistance and provide greater lubricity. Inhibit NC is a MSI proprietary Zinc-Nickel finish that maintains the excellent corrosion resistance of MSI's standard process and provides color options that typically match the olive drab and green to black finishes associated with the Military and Industrial use of Cadmium plating. Inhibit NC provides more than five times the corrosion protection of Cadmium, has greater wear resistance, and is an environmentally safe process.